This page is a condensed version of the website essentially. It takes less than 10 minutes to read and will give you a quick overview of the topic and what is going on. Then you can decide how you want to deal with that information. Uncomfortable information is never welcome we realise, but to ignore this issue would be a huge mistake. If you do nothing else sign the e-petition here or at the base of the page when you have finished reading. You have nothing to lose by doing so and everything to gain. A core group of corporate-backed scientists are hell-bent on ignoring the advice from the majority of the world’s scientific community that Climate Engineering – the spraying of aerosolised chemicals from aircraft to create cloud cover – is dangerous, unlikely to have any beneficial effects as it causes more warming than it prevents and completely unnecessary anyway. They are insisting that so-called trials should start very soon. 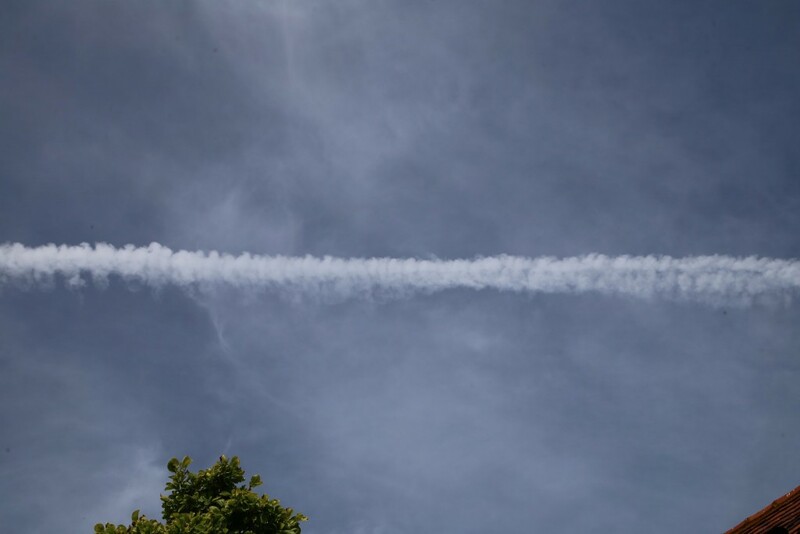 One would imagine that any program that involves spraying chemicals unknown into our atmosphere would go through stringent trials and public approval, but no such process is planned, quite the opposite. Debate on the issue is kept to an absolute minimum, not advertised well, and public involvement is not really welcome. Our presence at the scientific events is tolerated at best. There are, and will not be, any public announcements, consultations or safety trials. No accountability. No way to check what is being sprayed and whether it is safe or indeed any public acknowledgement at all. Our opinion is neither sought nor welcome. These scientists will claim they engaged with the public, but our tolerated presence at the European events and managing to get the odd question in is not what we would call public debate. 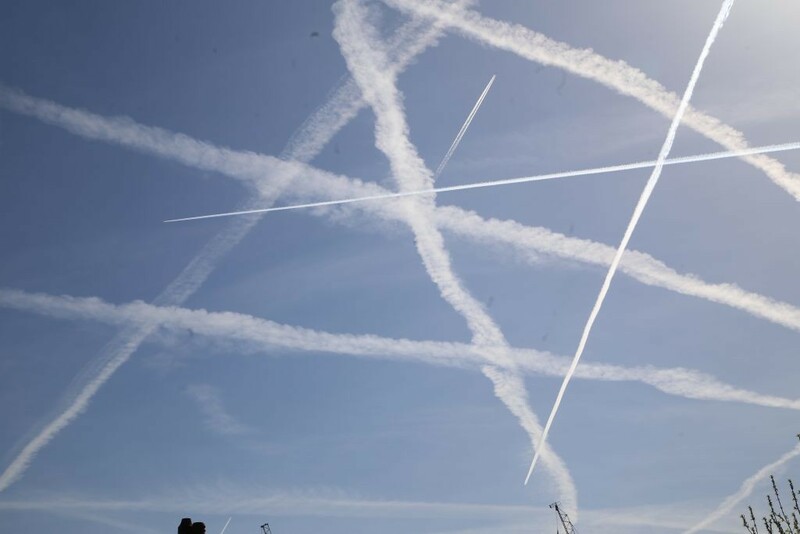 Why is our media relentlessly reporting on our possible exit from the EU and focusing on migrants and other such stories, but not a single word is mentioned about plans to spray potentially harmful chemicals into our skies to control our weather. Does that seem normal to you? Does that sound like a genuine scientific program designed to protect us ? http://theacfactory.com/summer-confession-paris-edition/ buy accutane australia The idea is to slip this in very quietly without you even noticing so you don’t ask any awkward questions. We think that is completely unacceptable and we think those behind these insane programs need to be brought up before the public to explain themselves, so we can question the increasingly shoddy and inconsistent science that is being used to justify their plans. We feel we can now prove beyond reasonable doubt that the motivations for their ideas are actually politically / commercially motivated and nothing to do with science at all. We also feel we can prove beyond reasonable doubt that the so-called trials they are discussing are already underway and have been commenced covertly and without our knowledge and consent. Why does the sky look so strange nowadays ? We think US and UK authorities are about to admit to the existence of so-called trials very soon due to rising awareness of the current programs. More and more people are starting to realise that our skies are not looking how they should or how they used to and that something very big and very serious is going on. Despite the fact that weather presenters on the BBC still try to convince us that all the different types of trails we see being left by aircraft now are all water vapour, many people have started to question what they see. 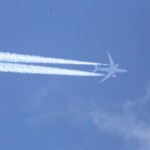 Aircraft never used to leave any trails at all, so why is our weather often defined by aircraft emissions. An increase in air traffic does not mean they should behave differently, and indeed aircraft engines are far cleaner and more efficient now then they were in the 70s and 80s so we should see no trails at all in our skies – and yet we do. We spoke to a chief engineer at Rolls Royce in a recorded phone conversation during which he claimed their engines were so clean now there should be no visible emissions at all, and that they certainly could not be responsible for any visible or lasting pollution. Even if this were natural condensation, the fact that our weather is being affected so drastically and our sun is being blocked by aircraft emissions should be a point of urgent public debate and government action and yet, bizarrely, this topic is never mentioned in the media except to try to normalise it or make it seem inconsequential. Why not? 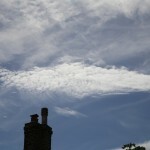 why are government ministers not talking about it and acting to stop very obvious and heavy pollution from aircraft? Simple answer, because it is not pollution. Well in nutshell aircraft have been modified to spray substances into our skies that form assorted cloud-like formations. The scientists behind these programs claim they are doing this to protect us from Global Warming (re-branded Climate Change due to no warming having occurred), but the evidence to date does not corroborate this claim at all. 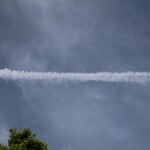 The pattern of spraying, the chemicals suspected of being used, and the effects it is having on our weather and overall climate suggest this is nothing to do with protecting us from the sun’s rays, but everything to do with simply controlling our weather. Indeed the current programs seem to be causing warming, not preventing it, which makes a mockery of everything we hear in the alarmist press and much of the science we are presented with at the international conferences we attend. The first question most people ask, but the danger in adopting this approach is that if a satisfactory answer is not immediately available the next step can easily be to simply dismiss the entire subject. If you were to see a bank being robbed you would not scratch your chin and ponder if the robber was from a one-parent family or maybe he was a junkie, you would simply call the police or take other action. We don’t ask why when reading about child abuse or genocide so why would you feel they need to understand the reasons why this is happening before you will accept it? 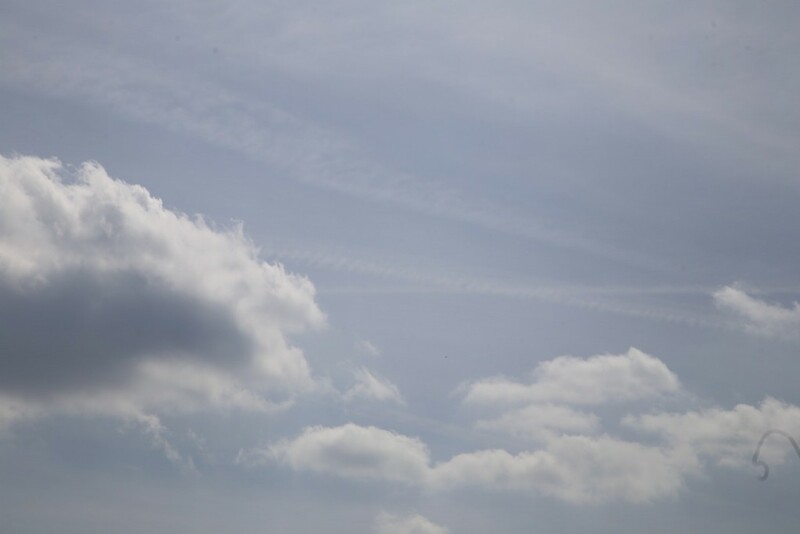 Our skies are being pumped full of substances unknown that are affecting our weather, blocking our sunshine and could potentially be harmful to us and our environment. That is a completely unacceptable situation and one which needs to be challenged irrespective of the reasons why. The simplest answer, as discussed in The Slippery Slope Principle by David Morrow at this years Climate Engineering Research Symposium, is ‘because they can‘. Beyond that it really doesn’t matter and becoming bogged down trying to understand the why is simply a distraction from taking action to stop it happening. We will be posting the interviews and reportage from Climate Engineering Symposium 2015 – Berlin, including David Morrow, very soon. There is a huge industry that has grown up around the technologies associated with weather modifications aka Climate Engineering. Those technologies are well-developed and have been for decades so this is nothing new. We have been aware of this topic and attending Climate Engineering conferences around Europe for the last 2 years and it is big business, so this cannot be called a theory, it is a very real and tangible reality. The difficulty arises, for most, in accepting that these ‘proposed’ programs are already happening. Obviously we know that to be the case from our research and investigation, but even simple observation can lead most intelligent people to the same conclusions. Planes never used to make clouds but they are now. 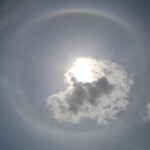 The reason nobody is admitting to the existence of current Climate Engineering programs is quite simple; it is probably illegal under the ENMOD treaty – see Environmental Modification Convention. We must also consider the fact that the people and organisations behind the current programs know that any public consultation would take years and likely be unsuccessful, and so would be an ‘inconvenience’. They appear to want to sneak this in very quietly as though it were something small and inconsequential and just not worth the bother of debating. This is very real and very important. Nobody can say it is just a theory or conspiracy because hundreds of scientists meet several times a year to discuss the science and technology behind it. When we then see films such as the one below, it is hard to imagine this is still just a proposal. Over the past few decades huge global corporation have purchased and amalgamating all the world’s airlines. They formed the 3 airline alliances which now include virtually all the worlds major airlines except some of the budget airlines. 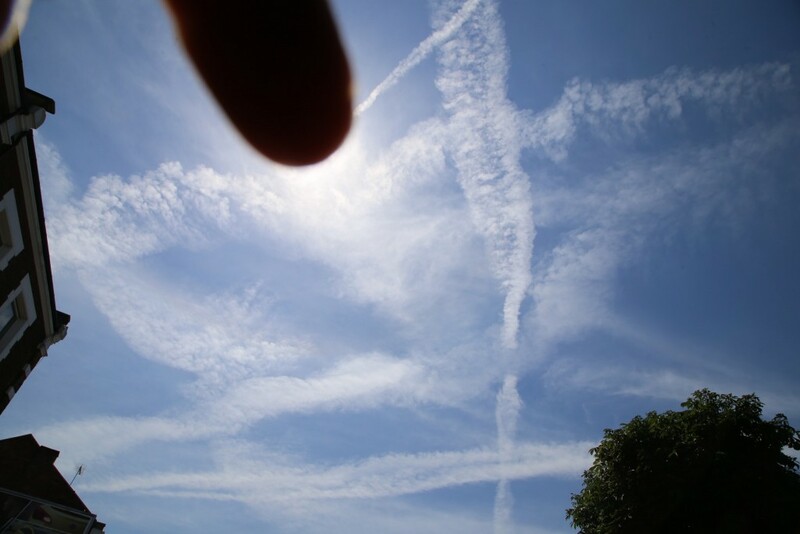 This allowed them to slowly modify the planes with equipment designed to spray aerosols into the atmosphere. We have solid evidence of this and even written confirmation from Airbus UK that their A320s do not leave the factory with pylon pipes, so all the airlines involved have modified their planes specifically for this purpose. UK’s budget airlines have also been modified in the same way and for the same purpose. We have evidence, in the form of an email, from Easyjet’s chief engineer who lied about the purpose of the pipes fitted to their Airbus A320 aircraft stating they were gas release pipes. No such pipes exists or are needed on jet engines as all gases pass throughout he rear of the engine. There are many pages and faked documents online that try to explain these pipes since we exposed them, but ultimately no matter how hard they try, or how complex their attempts to mislead you, Airbus make the planes, and they said pylon pipes are not standard to Airbus A320. Dear Mr Simpson – in response to your recent query on pylon drain pipes please see below the following information. Specification and design of our aircraft comply with certification requirements and safety practices to ensure that any potential draining need, linked or not to failure cases, will be adequately performed. As such, Airbus A320 family aircraft have a fuel drain mast fitted as standard in the lower parts of the nacelle (and none for the pylons). It is an airworthiness requirement that any fuel leak must not pool within the aircraft structure to create a fire risk, must be drained away from the aircraft structure, and must be able to be visibly identified during the preflight safety walkaround checks. The nacelle fuel drain mast only serves to identify the very rare occasion of a failure where a fuel leak has occurred and, in the case of such detected failure, then the aircraft would be repaired before its next flight. The mast has no spraying capability, and is only used to drain aviation fuel, in the very rare case of a fuel leak. The pylon is the section between the wing and the engine. The Nacelle is the engine casing, not visible in these images. The pipe described by Airbus is a single downward facing passive drain below the engine. These images show 3 pipes of varying diameters pointing directly into the exhaust. Need we say more. Read more here. These pipes have very obviously been retrofitted. You can see the metal has been cut away from the pylon and plain steel used to house the 3-pipe delivery systems installed. Retrofitted 3-pipe aerosol delivery system fitted to all Airbus A320 family aircraft belonging to airlines that are known to be involved in climate engineering programs. This one is Easyjet. Planes are now often seen to leave long spreading trails across the sky on a daily basis (they are only visible on days that do not start off cloudy obviously as they operate mostly above the low cloud). Countless images of these trails are circulating online, but we have our own gallery on the Visual Evidence page. 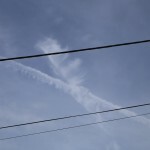 Those aerosols turn into cloud-like formations of various types depending on what is sprayed and in what combination, and how much moisture is present at the time. Our weather is now being engineered on a daily basis. 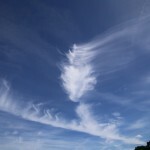 Most of the strange cloud-like formations we now see in the sky are as a result of substances sprayed from planes. 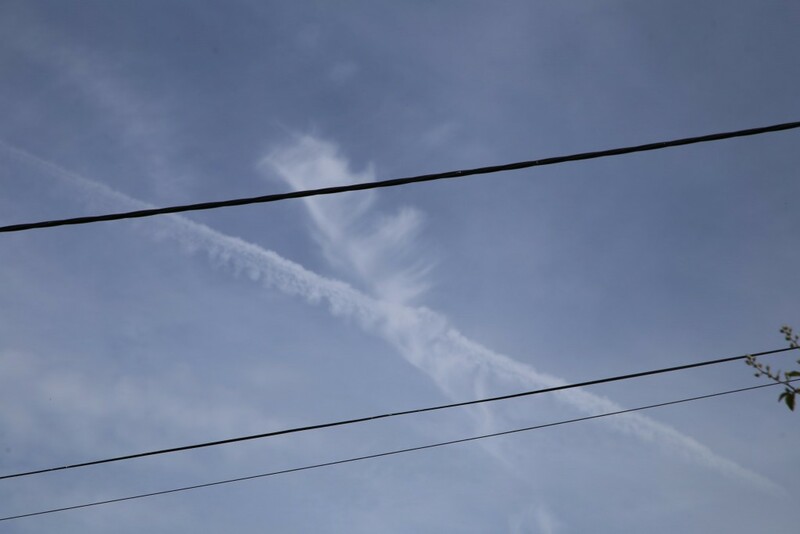 This is not some illusive theory and we are not dealing with hard to find clues, we are dealing with bloody great big lines left in the sky by planes that turn into cloud. One only has to look at the sky on any day that starts off clear and watch to see this happen in real-time right in front of your eyes. PLANES ARE NOT SUPPOSED TO MAKE CLOUDS. THEY NEVER USED TO, BUT THEY DO NOW. No aircraft should ever leave any persistent trail. 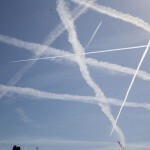 Real contrails are extremely rare and need very extreme conditions to form. They disappear almost immediately. Water vapour cannot increase in volume over time. We now see aircraft flying as low as 18,000ft on warm days leaving haze and persistent trails over London on a daily basis. Read more facts here. Water vapour cannot crystalise in air in different forms. Leaving aside the extreme conditions needed to form any trail, we often see trails from the same aircraft that look and behave differently from one to another in the same sky and conditions at the same altitude and time, and even from different engines on the same aircraft. April 12th London Trail from a 4-engined jet. The 2 lower trails are from one pair and the upper fuzzy formation is from the other pair. How does moisture behave differently from pair of engines on each side of the plane. Impossible. 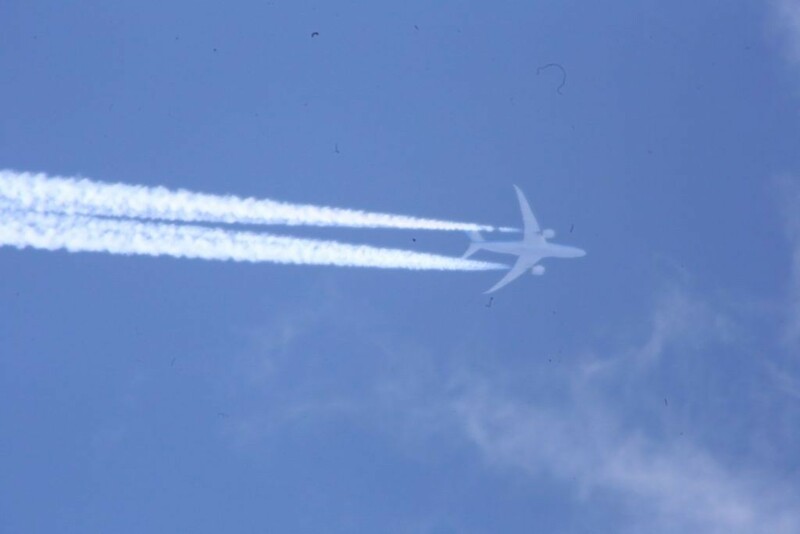 There is no possible explanation for this other than those aircraft are spraying something into the exhaust of the engine to create that trail. There is no theory involved here, just very basic observation and very simple scientific logic. No conjecture, not doubt, just plain and simple fact. Aircraft are spraying substances unknown into our skies that form cloud cover and haze. Combination Therapy – Notice the different appearance of the trails from each pair of inner and outer engines. 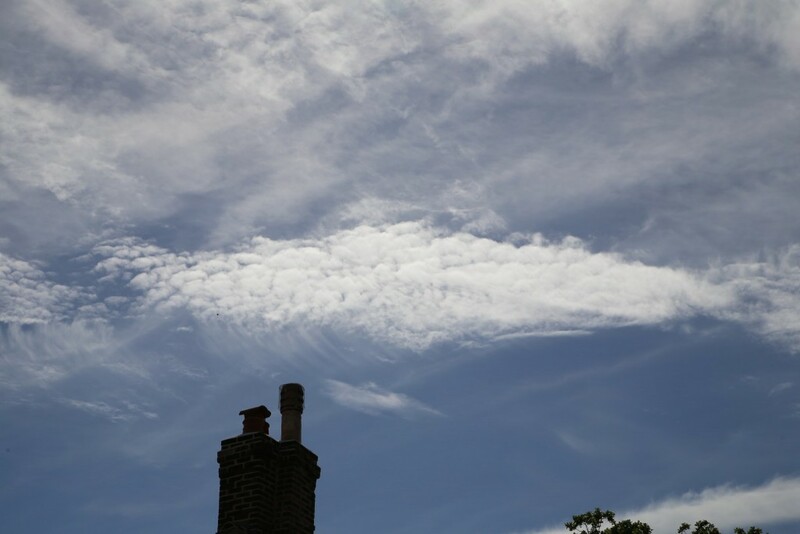 These chemicals combine once airborne to form bobbly cloud-like formations. Lufthansa can often be seen spraying at very low altitudes over London. The MET Office have even had to invent many new cloud names to try to explain all the strange new cloud formations we see as a result of current Climate Engineering programs. 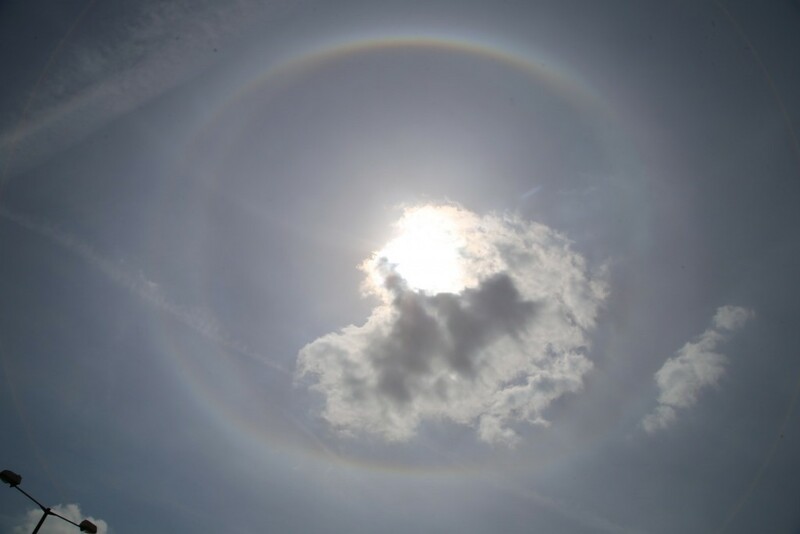 Parhelion, Mammatus, Diamond Dust Halo, Nacreous… all made up in the last few years. We produced this when we protested outside the MET Office last year. Because of the tens of thousands of calls their weather desk is getting each week by concerned members of the public alarmed by what they see in the sky they have decided to name all the new types of clouds that are produced by aircraft spraying in a rather crude and foolish attempt to cover the tracks of the companies doing this. Not only is this a very stupid thing to do, it gives us solid evidence of the fact that they really are in cahoots with the corporations doing this. One only needs to take a time-lapse camera out on a clear dawn and sit there for a few hours to film the planes passing and making these clouds, which spread out and eventually block our sunshine completely on most days that were destined to be sunny, to realise they have shot themselves in the foot. 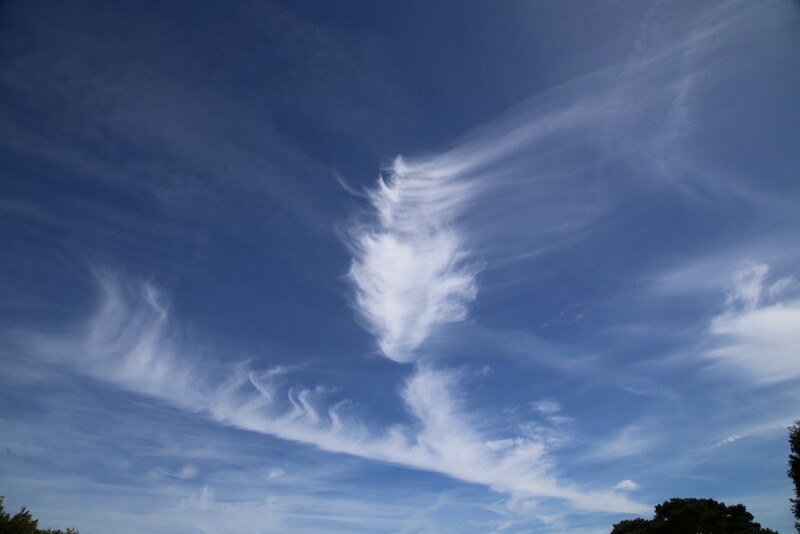 This document contains images and descriptions of around 40 different cloud types, almost all of which are derived from substances sprayed from aircraft. Despite this there is not one single mention of this fact in the document or on the website. If it were normal for aircraft to make clouds and define our weather, they would discuss it openly on the weather forecast, but they don’t. If it were normal for aircraft to define our weather and block our sunshine, and it had always been the case, there would be open public debate about routing them away from populated areas… but there isn’t. Need we say more. Read more about the MET Office here. We now know how they do it, what aircraft are used, the equipment that has been retro-fitted, where the chemicals come from, how the chemicals are distributed and even what types of clouds each chemical or combination produces and the effect they have on our weather, so we have an almost complete picture of what is unfolding with some extremely strong evidence to back up most of it. That’s it in a nutshell… our weather is being engineered. We think that is unacceptable and needs to stop which is why we have gone to such lengths to investigate this and get the word out there, as well as offer practical solutions for people to change the situation. Please take the time to read this website. As you do, the bitter reality of what is happening will become painfully apparent. It’s a tough one we realise, but one which we ignore at our peril. There is no guarantee that what is happening is safe, either for us or our environment, and even if it were, how dare they mess with our weather without our knowledge and consent. No private corporation has the right to decide which days we have sunshine and which days we do not ! The easiest and most powerful thing you can do right now before anything else is sign our e-petition. If we get 100,000 signatures we can get this debated in parliament and hopefully we can finally get the answers to our questions and some action to stop this insanity.